Due to unexpected slippery and snowy conditions I had an accident in my WRX this morning. 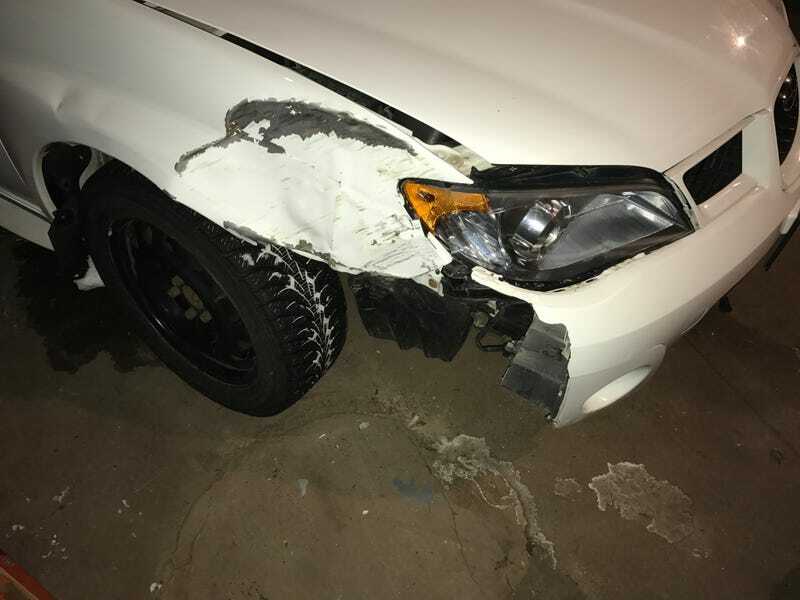 With the exception of hitting a deer a few years ago this is the first accident I have had with it. While on my way to work at 4:30 a.m. I took a turn and spun the WRX into a tree at about 15 mph. The damage report is fender, bumper, inner fender, and headlight. Possibly my hood as well. Time to see what the insurance adjuster will have to say for cost.